Okay, like I need another project. I have a project yet to reveal, a baby quilt started that will probably be late, my water quilt, and a million ideas racing around in my head. And those are only the active ones, not the pile of UFOs hiding under the bed (literally). 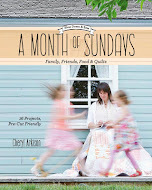 But I really, really like the Values quilts that Katie does over at Willy-Nilly. And now she is hosting a quilt-along. The other day Hubby had The Monster our running errands so Smilosaurus and I played in my stash. I decided that this Values quilt would only be scraps. But in truth, my definition of scrap has changed over time. Originally, anything smaller than 6 inches was a scrap. And everything else got thrown back in the colour-coded bin as stash. For this project, however, I was going to need bigger pieces. So I refined my definition to anything I'd used before and might be less than a fat quarter. A pretty generous definition if you ask me. I must confess that this pile was not even close to everything that fit my refined definition. 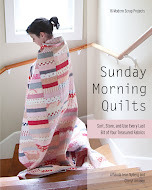 I want to really like this quilt so I picked out only those fabrics that I still really like. Or, at least the fabrics that I really liked that day. I'm going to cut one of each and see where that gets me. I figure there's always room for another project! 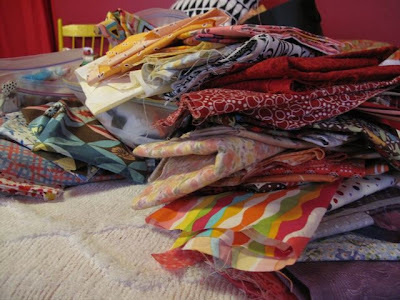 :) Your scrap pile looks fun and I love those value quilts too! that is a great redefined of scrap is. i love Values quilt, i want a little more time to do it! Your scraps look like a lot of fun. Can't wait to see your quilt. 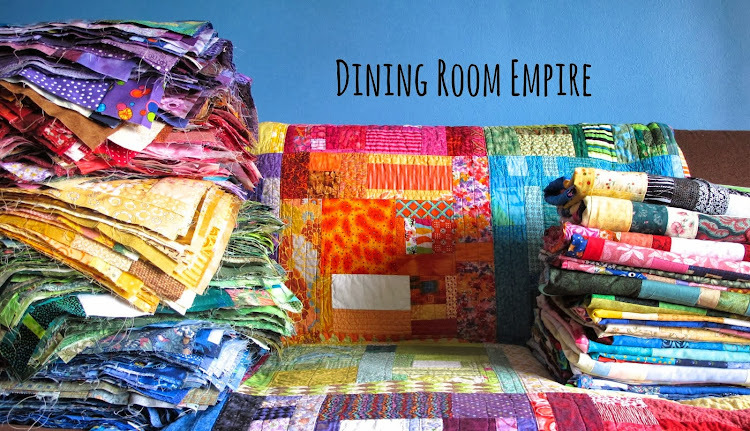 I love using scraps, it really stretches your creativity. ooh! yeah! we sure do have stash on the brain! good for you! and hey, willy-nilly blog, what eye candy! thanks for pointing that one out. happy scrapping! hey, we can be behind together. 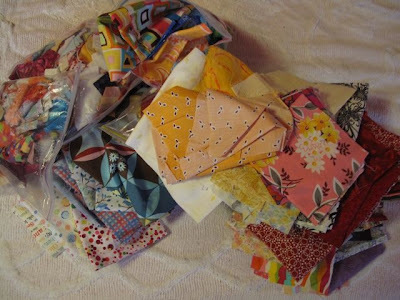 i've pulled fabrics, but haven't decided on them and surely haven't cut anything. 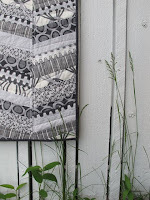 It is a beautiful quilt, and a great way to use up scraps. I am still trying to hold off, so I can get some UFOs finished, but it is mighty tempting! i think i'm going to make my values quilt along a doll size. manageable...maybe. i am excited to see what you come up with. and yes, that is a pretty broad definition of a scrap, but that's ok. actually, better, if you ask me.